Two army commanders allegedly colluded with a private developer to hand him seven acres of prime defence land worth Rs 25.50 crore in Pune. A confidential Comptroller & Auditor General (CAG) report, a copy of which is with india today, notes that Lt General (retd) B.S. Thakker and Lt General Nobel Thamburaj regularised unauthorised constructions on military land. 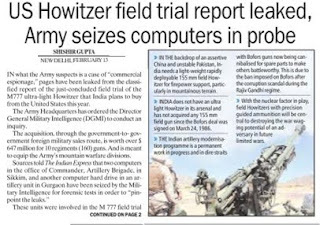 The report also holds a director in the Directorate General of Defence Estates guilty of passing decisions that helped the developer continue commercial exploitation of defence land. Lt General Thamburaj succeeded Lt General Thakker as the General Officer Commanding-in-Chief (GOC-in-C), Southern Army Command, in 2006. The Army recently court-martialled Lt General P.K. Rath for issuing a no-objection certificate to a private developer at the Sukna military station in West Bengal. There was, however, no transfer of defence land in Sukna. In the Pune cantonment, this alleged nexus between the Defence Estates department and the Army virtually gifted away prime defence land to Ramkumar Agarwal, a private developer and chairman of Citizen Sports and Recreation Club Pvt Ltd. Leased as a private residence, the plot has been turned into a commercial venture, the Residency Club, violating cantonment rules. The area goc-in-c heads the local government in every one of the 62 cantonments across India. Three crucial decisions that virtually legitimised the club's occupation of defence land in Pune, one of the Army's most important cantonments, were issued days before the incumbents either retired or moved out of office. 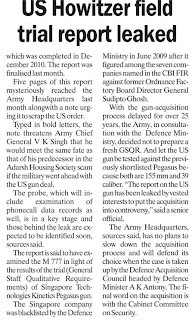 Ved Prakash, the director of Defence Estates Organisation (DEO), set aside all notices against the club a month before his retirement in November 2006. Lt General Thakker regularised unauthorised constructions by the club just a day before he retired on January 31, 2006. On December 29, 2008, Lt General Thamburaj admitted an appeal by the private developer against the government notice for unauthorised construction. 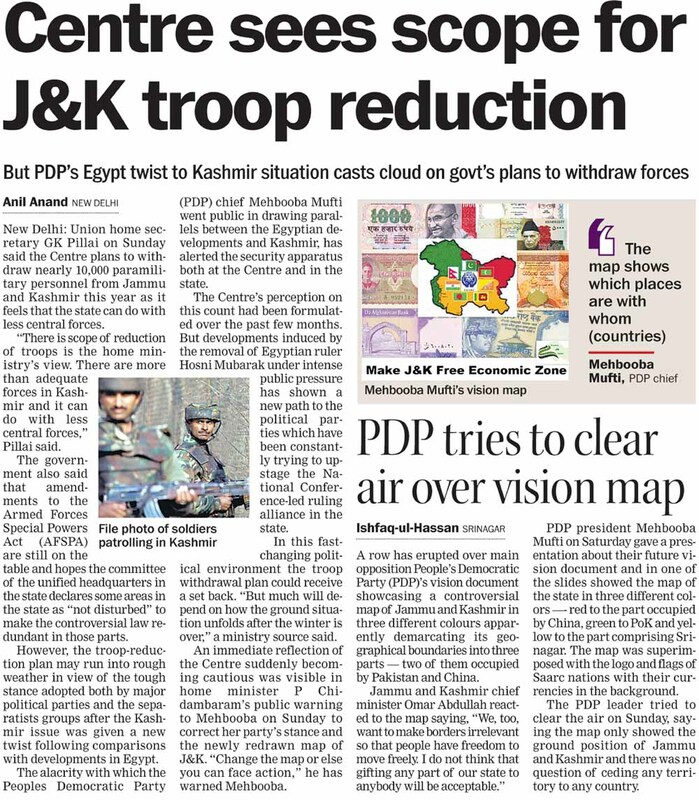 He took this decision two days before he relinquished his appointment as southern army commander and moved to Delhi as Vice-Chief of Army Staff. These decisions were taken on the case which was subjudice, the report notes. "The club was in existence for over a decade before I was posted in Pune. They had erected a few temporary structures for sports facilities. 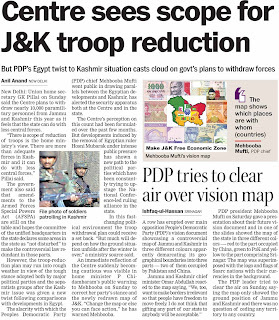 Proper procedures were followed and these decisions were not taken on a spur of the moment," said Lt General Thamburaj. "The club did not monetarily benefit from my decision." Agarwal, the owner of Residency Club, denied ever having met any of the three officials. "They have nothing to do with the club. They haven't done me any favours," he says. The CAG report suggests otherwise. The 'old grant bungalow', or a private residence built on defence land, was built in 1940. In 1986, Zarir Cooper, the Holder of Occupancy Rights (HOR), informed the army about a proposal to transfer the land to Agarwal. This was not granted. In August 1987, the HOR once again applied for permission to start a club in the premises, which was once again rejected by the deo. Defence land rules expressly stipulate that the bungalow can be used only for residential purposes. The Government can resume ownership of the land after paying the occupant the cost of the building. In 1999, however, the Director General, Defence Estates overruled the deo's objection and okayed the transfer of the property to the private party. The main condition for the transfer was that the Government would hold the title to the land and that the bungalow would be used for residential purposes only. The developer challenged the Government's title over the land in the civil court and began redeveloping the bungalow as a recreation club. The court confirmed the Ministry of Defence's (MOD) title on the land but restrained the Government from interfering with its use as a club. The case remained pending in court. Armed with the court order, the developer converted the bungalow into the Residency Club and made extensive alterations on the land. As none of these constructions were approved by the Cantonment Board, Pune, notices were issued on Agarwal by the board between 1992 and 2006. The builder appealed against the notices. In January 2005, he agreed to pay the MoD an annual lease rent. The Defence Estates Department assessed the rent at Rs 79 lakh per year. "Interestingly, no progress was made in this regard by the MoD," the report notes. This inaction cost the Government over Rs 10 crore-Rs 7.91 crore in a one-time premium and Rs 3.8 crore in annual rent since 2005. The case then went to the appellate authority, Ved Prakash, then director of Defence Estates. 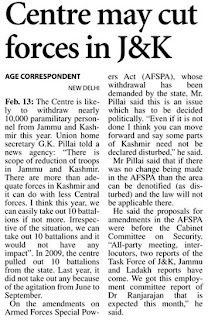 Prakash set aside all the notices and stopped the removal of unauthorised constructions. In 2006, then goc-in-c Lt General Thakker regularised the unauthorised constructions on the deposit of a meagre Rs 8.33 lakh. He did this a few days before he retired. "No army commander can pass orders to regularise unauthorised constructions; it is Defence Estates officers who do that. Moreover, if the club has already been around for a decade before I took over them, how does the army commander come into the picture?" says Lt General Thakker. In 2006, the Pune Cantonment Board filed a suit in the Bombay High Court against Prakash's decision stopping unauthorised constructions. In December the same year, a new Cantonment Act passed by Parliament came into force. The Act transferred appellate powers from the Defence Estates Officer to the goc-in-c. In 2007, a notice for unauthorised construction was served on the club. The developer filed an appeal before the goc-in-c Southern Command. 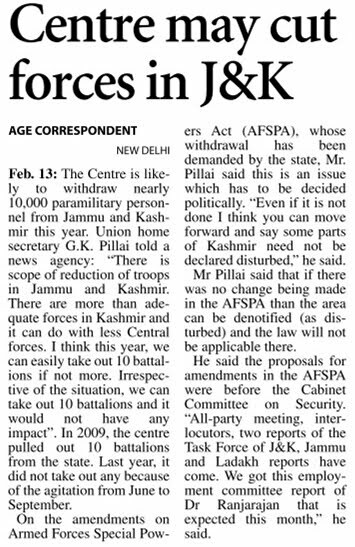 This appeal was allowed by Lt General Thamburaj on December 30, 2008, a day prior to relinquishing charge. This decision taken despite the matter being subjudice, virtually regularised the club's illegal constructions. 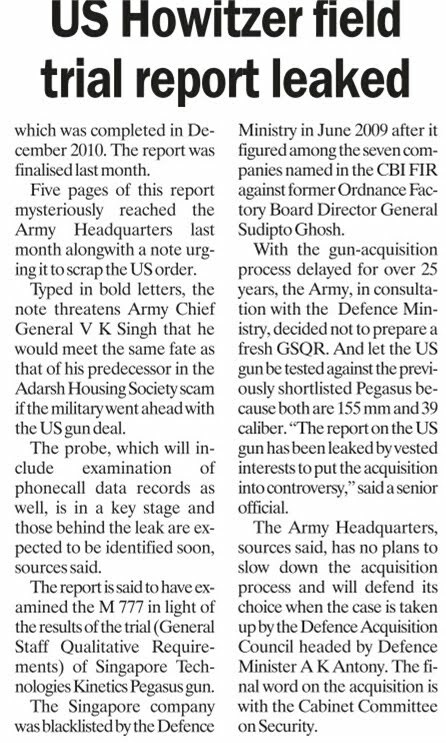 The report severely indicts the army and Directorate General of Defence Estates (DGDE) for failing to protect Government property. Despite being aware of the builder's intent in utilising the bungalow as a club, the DGDE sanctioned the property transfer. Defence Estates authorities failed to pursue the court case: no hearing was held since 1997. This soft-pedalling only loosened the Government's hold on the land. 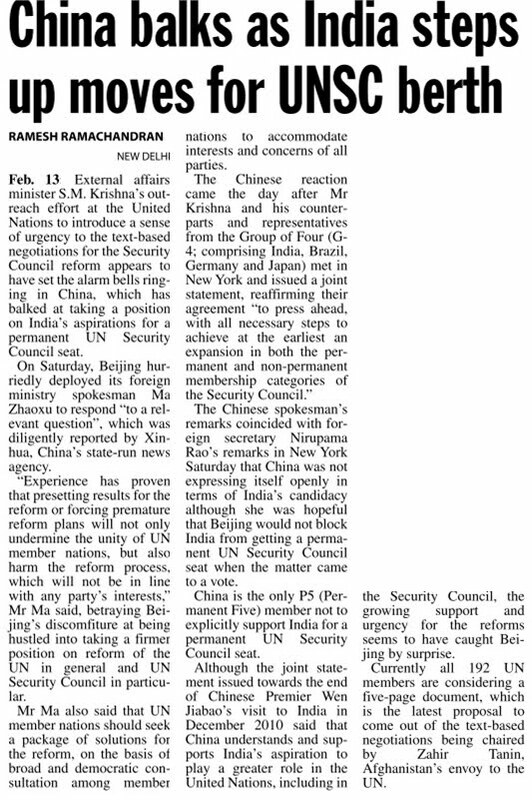 Despite a decade, the local military authorities failed to finalise the board proceedings that were convened in 1999. Defence ministry officials say the Pune case is symptomatic of the malaise afflicting cantonments in Lucknow, Delhi and Meerut. "Most of the corruption in these cantonment areas revolves around Old Grant Bungalows," says one official. "Even when leases expire, no effort is made to resume leases on these bungalows," he adds. In several cases, either the land is illegally sold or the usage is changed from residential to commercial with nobody to check. A CAG report says that three crucial decisions that virtually legitimised the Residency Club's occupation of defence land were issued just a few days before the incumbents either retired or moved out of office. Bungalow owners allege discrimination by the 'pick and choose' policy of lease renewal adopted by the local army commander, cantonment ceo and Defence Estate officer. "Frequent land scams take place because of the flawed land records kept by a single authority, the Defence Estates Department," says Raghavinder Dass, president of the All-India Cantonment Bungalow Owners' Association. This new scam to tumble out of the ministry's closet once again highlights the dangers to prime defence land. Last year, the Defence Estates was severely criticised by a Controller of Defence Accounts (CDA) report. The report said that the DGDE, custodian of 17,000 acres of defence land worth Rs 20 lakh crore, had failed in all its primary tasks of audit, accounting, acquisition of land and financial management. The department has been unable to punish its black sheep. One of its officers, A.S. Rajgopal, was promoted twice despite being chargesheeted a few years ago. He rtired as principal director of Defence Estates last year. The cda recommended closing down the DGDE. The Government is yet to take any action. Defence Minister A.K. Antony recently told Parliament that 11,000 acres of defence land were being illegally occupied all over the country. 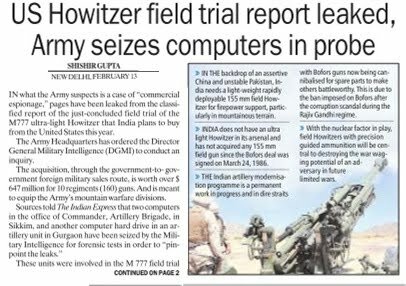 Antony said that he had asked for computerisation of the DGDE's records. "This is preposterous. Computerisation is being held out as a panacea for corruption," says a senior Ministry of Defence official. Computerisation of the DGDE's land records has been on for the past five years but the organisation is nowhere near realising a central database. The DGDE has been unable to respond to even basic RTI queries on the size of defence land holdings. With no reform or accountability in sight, defence land scams will continue to stain officers of the armed forces. Marketing blitzkrieg, aerial theatrics marks Aero India Show Monday, February 14, 2011, 0:01 [IST] Print This Page Mail To Friend Comment on This Article A A A Follow us on Follow us on Twitter Vote this article Up Down Bangalore, Feb13 (PTI) It was a blend of marketingblitzkrieg and aerial theatrics that capped the five-day AeroIndia show, touted as one of the biggest events showcasing themulti-crore opportunity of India''s fast growing defence marketand the fierce competition among global defence majors to wooIndia. Buzz up! The concluding day here was marked by flagging off ofIndia''s old refurbished warhorse, Pushpak on a 11,000 kmexpedition. The World War-I unarmed aircraft, Pushpak, took off on a30-day expedition, to commemorate the silver jubilee year ofthe Army Aviation Corps. The aircraft, which served in the 1965 and 1971 wars, wouldvisit all the erstwhile Air Observation bases. The huge civilian turnout today was also greeted to somestunning mid-air manoeuvres by both Indian and foreignmilitary aircraft. Aerial displays by homegrown Tejas, Indian aerobatic team,Suryakiran, the Indian helicopter team, Sarang enthralledseveral. The Czech based team today left several gaping as theFlying Bulls presented their complex manoeuvres. Military state-of-the aircraft from Sweden, France, USEurope, Russia also displayed their prowess mid-air. The aeroshow received both national and internationalattention, with the participation of nearly 75,000 businessvisitors this year as against 50,000 in the previous event,according to CII officials. In all nearly two lakh visitors it to the aero show whichwitnessed some fierce competition with major internationalaerospace players bidding for the USD 10 billion mediummulti-role combat aircraft contract in India, which isexpected to be finalised next year. Over 600 exhibitors from across the country and theworld showcased their components and technology at the event. 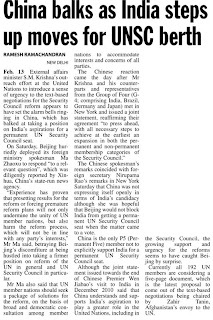 "There have been some serious enquiries", a CII officialsaid but refused to divulge details. The highlight of the event was handing over of ''Cheetah''to Namibia and signing of Joint Venture between L and T andCassidian. Global defence majors, including Boeing, Lockheed Martin,Swedish Saab, European Eurofighters, French Dassault, launchedaggressive marketing blitzkrieg, with the aim of winning theMMRCA deal. Union Minister A K Antony''s statement that the deal wouldbe decided next year, turned the voltage of the competitonseveral decibels higher, with all defence majors trying togarner maximum media mileage. Aero India: India's indigenous combat chopper Bangalore: This is the light combat helicopter, India's first indigenously made attack gunship. This Aero Show is the first time it's been shown off to the world media. It's a rare machine, one that can fly and attack even at the heights of Siachen Glacier. Wing Commander Unni Pillai, Chief Test Pilot, Hindustan Aeronautics Limited said, "The need for such a craft was first felt in Kargil. None of the copters we had could fly at such heights. So we decided to design and build our own machine for our unique needs." Flight Engineer, Hindustan Aeronautics Limited, Wing Commander KR Ajayaraj said, "This is the only machine that can fly from sea level to more than six kilometers height. Operates between -30 to 55 degrees centigrade. Is very hard to find a machine that operates across such wide ranges of conditions." The Light Combat Helicopter or LCH does what fighter jets can't. Hover over and identify camouflaged tanks and bunkers before destroying them. It's much lighter than international counterparts, is hard to spot on the radar and packs deadly firepower. Wing Commander Unni Pillai, Hindustan Aeronautics Limited said, "Feel tremendous pride in flying something that was made in India. Only 3 or four countries have the capacity to produce gunships. We are one of them. That makes me proud." Two pilots control the LCH, one to navigate, the other to fire weapons. It can fly at night and transmit war zone videos to its base station. Plus, it's extremely agile in the air. The LCH is another proud demonstration of India's confidence in designing our own defence hardware. When it is handed over to the army in 2013, it'll strike terror into the hearts of anyone who tries to attack us in the Himalayas. Manmohan commends BrahMos team S. Anandan Share · Comment (1) · print · T+ Prime Minister Manmohan Singh visiting a BrahMos Aerospace Unit, an Indo-Russian joint venture, in Thiruvananthapuram on Saturday. PTI Prime Minister Manmohan Singh visiting a BrahMos Aerospace Unit, an Indo-Russian joint venture, in Thiruvananthapuram on Saturday. Prime Minister Manmohan Singh received first-hand information on the capabilities of the potent BrahMos supersonic cruise missile, jointly developed by India and Russia, during his half-an-hour visit to BrahMos Aerospace Thiruvananthapuram Limited (BATL) at Chakka, near here, on Saturday. Mr. Singh, accompanied by Defence Minister A.K. Antony, Chief Minister of Kerala V.S. Achuthanandan, and a host of senior government, defence and defence research functionaries, had a tour in which they caught a glimpse of knocked-down BrahMos missile systems on display, footage of BrahMos test-firing, a movie on its capabilities and various missile components and subsystems manufactured by BATL. “During the visit, the Prime Minister commended the BrahMos Aerospace team for designing and developing a superior weapon system without parallels,” A. Sivathanu Pillai, BrahMos Chief Executive Officer, who received Mr. Singh and briefed him on the distinctiveness and features of the missile system, told The Hindu. The prestigious weapon, which has already been inducted into the Navy and the Army, would have its air version tested on Su- 30 MKI aircraft next year. The prototype of the universal BrahMos launcher, designed and built indigenously by BATL, came in for appreciation from Mr. Singh. The six-metre-long launcher, fabricated from large aerospace grade extrusions, is the first and the largest launcher built within India. “The Prime Minister was keen to know the standing of BrahMos in comparison with other missile systems in the world. He was particularly interested in its speed, accuracy and reliability and queried on the intricacies of its propulsion, guidance and control,” Mr. Pillai said. Mr. Singh reviewed the domestic, public and private industrial infrastructure available to produce a number of BrahMos missiles, and ground systems for meeting the requirements of the three Services. He commended the steps taken for product support in frontier regions to ensure the readiness of the systems. Despite having a reasonable life-cycle cost, the cost per each BrahMos missile seemed high, thanks to the low volume of production. But the use of Indian raw material to make its subsystems, low maintenance cost, and high target destruction rate made it cost-effective. This necessitated setting up of a series of production centres across the country, said a top BrahMos functionary. “This was a point appreciated by the Prime Minister,” he said. Later, Mr. Singh visited an operational BrahMos mobile command post and an autonomous BrahMos launcher of the Army, where he was briefed by Lieutenant-General Vinod Nayanar, Director General of Artillery. A BATL-made Vikas engine for the liquid stage of Indian Space Research Organisation's (ISRO) GSLV and PSLV was among the exhibits. (BATL has so far delivered close to 20 such engines). The subsystems made by BATL for space, atomic and missile programmes were also on display. 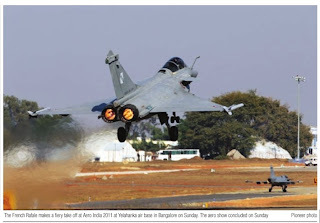 Raytheon offers 'pain gun' to troubled India By Pratap Chakravarty (AFP) – 1 day ago BANGALORE, India — US defence group Raytheon says it wants to sell India a controversial "pain gun" it claims would be safer than rubber bullets in quelling unrest in the insurgency-racked country. The Silent Guardian Protection System is billed by its makers as the 21st century equivalent of tear gas or water cannon -- a way to subdue rioters while inflicting minimal harm. The US military withdrew the weapon last year from war-torn Afghanistan amid opposition from human rights activists worried about its safety. The US army has never commented on why it withdrew the system. "We are meeting various elements of the Indian government, who are seeking information" on the weapon, senior Raytheon executive George Svitak told AFP at India's largest airshow in Bangalore late on Friday. Raytheon says the weapon, which causes agonising pain but no lasting damage, would be less likely to cause injury than water cannon, tear gas or rubber bullets frequently used by Indian troops to break up unruly crowds. Raytheon has already sold the system, variously dubbed the "pain gun" or "ray gun", to unnamed government clients, said Svitak on the sidelines of the airshow slated to end Sunday that has drawn 675 international firms. India has been searching for better ways to control crowds after 114 people were killed last summer during anti-India street protests in restive Indian Kashmir, mainly by police bullets. The weapon sends out beams of radiation that stimulate human nerve endings from a transmitter the size of a large TV screen mounted on the back of a truck. The beam barely penetrates the skin, meaning it cannot cause visible or permanent injury, said Svitak. However, anyone in its path will feel an extremely painful sensation all over their body. It can also be used to pinpoint individuals. Indian Premier Manmohan Singh recently told state police chiefs to deal with protesters humanely. "We need to revisit crowd control measures to deal with public agitations with non-lethal, yet effective and more focused measures," Singh said, referring to use of excess force in Kashmir. Arjun tank to get more Indian muscle The Defence Research and Development Organisation (DRDO) will roll out a more potent and indigenised variant of the Arjun tank in three years. DRDO chief VK Saraswat said the German engine on the current version of the tank would be replaced by an Indian power plant and the new variant (Arjun Mk-II) would have 90% indigenous component. The existing tank may be hailed as an indigenous project but imported items such as power pack, gunner's main sight and track account for 58% of the cost per tank. Saraswat, also the scientific adviser to the defence minister, told HT at Aero India-2011, "The new variant will have high indigenous quotient, except for some hydraulic and electronic systems. The tank should be ready in early 2014. It will feature several modifications including superior missile firing capabilities. " The army raised its maiden armoured regiment equipped with Arjun tanks in May 2009, more than 35 years after the project was conceived. The army has so far placed an order for 248 tanks, each costing R16.8 crore. The Arjun was earlier plagued with problems concerning its fire control system, suspension and poor mobility due to its weight. The army accepted the Arjun tank only after a third-party audit by an international tank maker roped in by the DRDO to endorse the battle-worthiness of the tank after extensive evaluations. The tank has been designed and developed by the DRDO and the Combat Vehicles Research and Development Establishment, Avadi. Saraswat said the DRDO was laying the groundwork to develop future main battle tank. The tank would be lighter than the 60-tonne Arjun, he said. Currently, Russian T-90s and T-72s are the mainstay of India’s tank fleet.